It's time for another edition of Monday Musings where I talk about whatever comes to mind with concerns to the Duke Athletic programs. 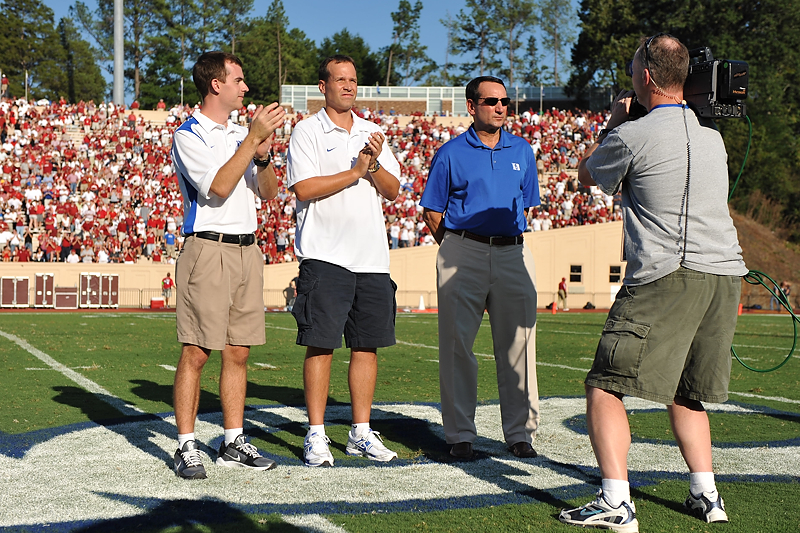 When Alabama fans travel, they do so in force and when their fan base got wind that they could feel Wallace Wade Stadium the trip was considered a tourist event for many of their fans. Waves of Crimson filled the Triangle area this past weekend where they boosted the local economy by six millions bucks. In all honesty, it was closer to an Alabama home game than a Duke one for the crowd was 60-40 from my vantage. It was mere seconds before one realized that Duke didn't stand a chance against a superior team. Fans watched on as several athletic plays made one realize that this Bama team was just down right nasty good. As the dust cleared from a 62-13 day and what seemed like the longest first quarter ever the Bama fans slowly packed up and headed back to the Deep South where they'll take on Arkansas in a dandy matchup. It won't take long for Duke fans to miss the huge crowds from the Alabama game for there will be plenty of tickets available when Army rolls in. And you know what? They can run the ball and the Blue Devils have trouble stopping the run. This has become a stressful situation for the football team for they so badly need this win and it adds a ton of pressure. Despite Duke's early struggles they open as a 6.5 favorite. One day down the road when Sean Renfree looks back on the Alabama game, he will realize the many lessons he learned. Renfree rushed some passes on Saturday where film shows he could have held the ball a full two seconds or so more. One must remember just how young Renfree is and that he is a tireless worker. There is no doubt that he will be a really good quarterback as his career progresses. We've already listed the names of several football prospects which visited campus this past weekend, but hoops was at work as well. A key PG prospect Quinn Cook was on campus where he hung out with players, namely Nolan Smith. Marshall Plumlee was seen towering over fans at the game as well and while I did not see Michael Gbinije, he was there. There were a couple of more names as well which we will cover as the week goes on. Coah K looking cool in his not so cheap sunglasses. You know, the song? Okay, nevermind. Coach K honored at the half. No matter how ballyhooed the football game can be in Durham, basketball casts a huge shadow over athletics at all times. Cameron Indoor Stadium saw about three thousand visiting fans at one time or another this past weekend and Coach K was honored at midfield at the half for winning another Gold for Team USA. The excitement is already upon us and it should be for this years team will be the pre season number one ranked team in America. Alabama fans who recognized Duke players were asking for their autographs as if they were celebrities and there were plenty of comments overheard. FWIW, the pre season magazines are hitting the stands hard and Kyle Singler, Nolan Smith ad Kyrie Irving are all on the first three All Americans teams in each one. Oh, and ESPNU will televise part of Countdown to Craziness. Scalpers are a necessary evil for folks always need tickets but when dealing with them you often feel like a shower is in store. In short, they make used card salesmen look appealing. Many of them made a killing with on line services leading up to the game but everywhere you turned on game day tickets were available below face value. This often happens when anticipation outweighs the desire for the game has been called a sell out keeping many folks in front of their flat screens at home. Tom4Duke was this weeks winner predicting a 62-17 Alabama win. You can win one month of BDN Premium by sending us your Duke-Army pick via Twitter this week and being the closest to the score. If you nail it, we'll give you three months of premium access. The rules are simple - 1- you must have the winner, 2- be the closet to the actual score of both teams. 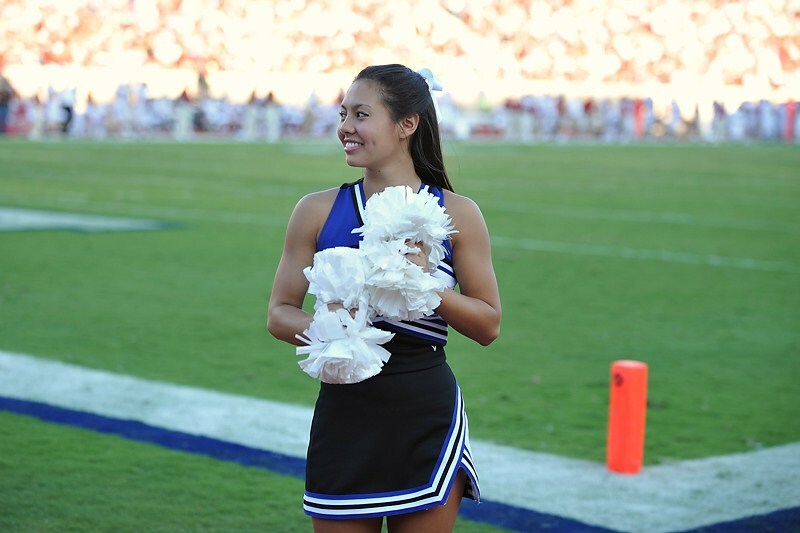 Example - You pick Duke to defeat Army 24-17 and the score is actually Duke 28-24, you are 11 total point off and of course the lower the number, the better for you. Had you picked Army to win, you would have been automatically out.